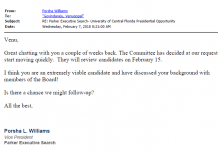 The lawyer who represents Knight News has sent a letter to several high-ranking University of Central Florida officials regarding transparency concerns about the presidential search committee. In the letter, Justin Hemlepp tells UCF that he wants to ensure transparency as the committee searches for a new university president and assigns a new role to President John Hitt. 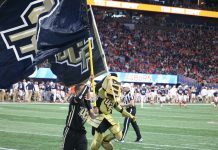 Since UCF’s announcement that Hitt will step down next year, Knight News has faced several hurdles that have made it difficult to report on the latest developments. 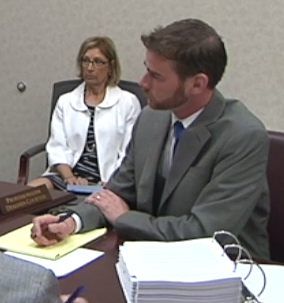 Knight News did not receive any documents pertaining to this request until after Hitt and the board of Trustees had agreed to Hitt’s new $300,000 contract. UCF released the first drafts of the contract, and other documents related to this agreement Wednesday after receiving Hemlepp’s letter. In the letter, Hemlepp expressed his concern that the committee was selected without any public oversight raised questions regarding the members of committee. “Why is the student boy’s elected representative not on the committee? 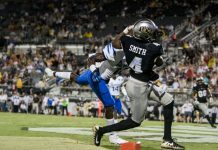 Why are there so few UCF Alumni? Why are so few students on the committee? Should Eastern Florida State College be represented?” the letter said. To conclude the letter, Hemlepp explained why Knight News has an issue with the Board of Trustees conducting meetings via teleconference. Attached is a word document with four faculty names and a short description of the core reasons I am recommending them for the search committee. I will be at the game tomorrow if you would like to discuss, or you can call me at 321-[redacted] (cell) as well. 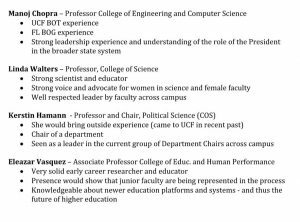 I have worked on this for a couple of days and have confidence these faculty would serve well and put the best interests of UCF first in all their work on the committee. I would also volunteer myself – but I understand the need to limit the committee to three trustees given the way the process works.